Now that you've experienced the joys of mojito pops, the approaching Summer is poised to cool down with another less boozy but more exotic frozen treat. 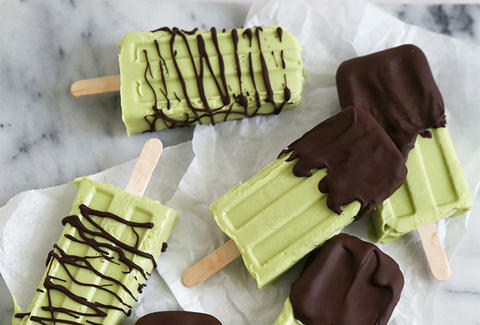 Chocolate avocado popsicles are just what they sound like: frozen blocks of guac's founding father drizzled in dark chocolate. It sounds weird, but with avocado ice cream on the rise, it's the next logical step... and a health food in disguise. Hit The Little Epicurean for the recipe. Kristin Hunt is a food/drink staff writer for Thrillist, and prefers cookwiches to popsicles. Follow her at @kristin_hunt.